Masters of the Universe Classics Mer-Man, released in April of 2009 and again as a blue variant in November of 2010, is still, for me, the best figure ever released in the Classics toyline. Part of that is certainly the painstakingly accurate reproduction of Mer-Man as he appeared in the vintage cross sell artwork, but part of it also is the shading and detail on the figure itself. The figure was augmented beyond the source material with some colored gems on the armor and some additional shading throughout the figure. There are some nods to the vintage figure as well. The most obvious one of course, is the second head, sculpted after the vintage figure, but also the green belt, which was featured on early releases of the 1982 toy. It should be noted that in some respects the Classics vintage style head is somewhat less detailed compared to the original vintage head. The vintage head has fins that terminate in individual protuberances, while the fins on the Classics head are rounded at the ends, and more closely resemble ears. 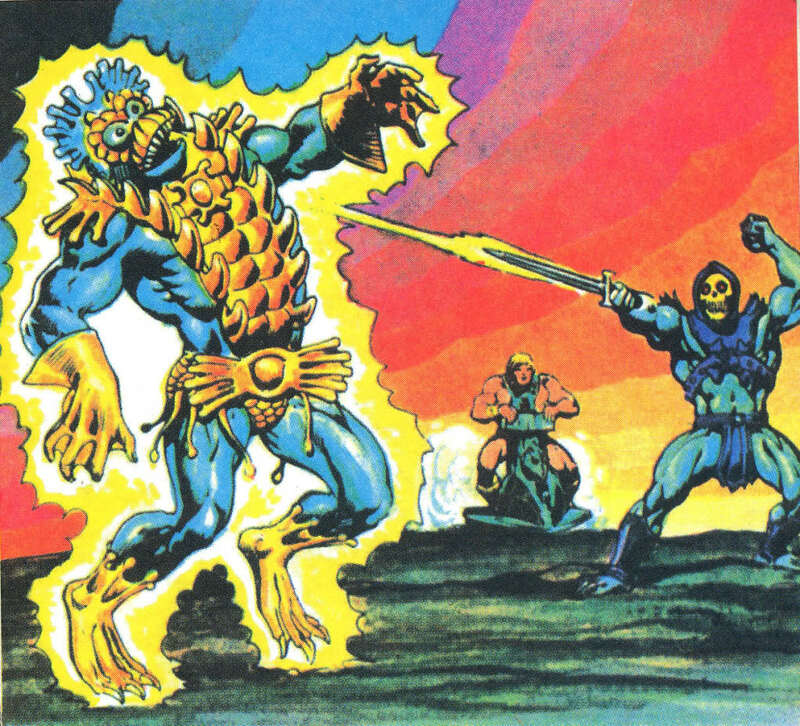 The blue version of Mer-Man that came packed with Aquaman is supposed to resemble Mer-Man as he appeared in the earliest minicomics illustrated by Alfredo Alcala. That version was based on early concept art by Mark Taylor and an early prototype sculpted by Tony Guerrero. Mark Taylor’s original Mer-Man B-sheet, published by Super7/The Power and the Honor Foundation. Image courtesy of Axel Giménez. 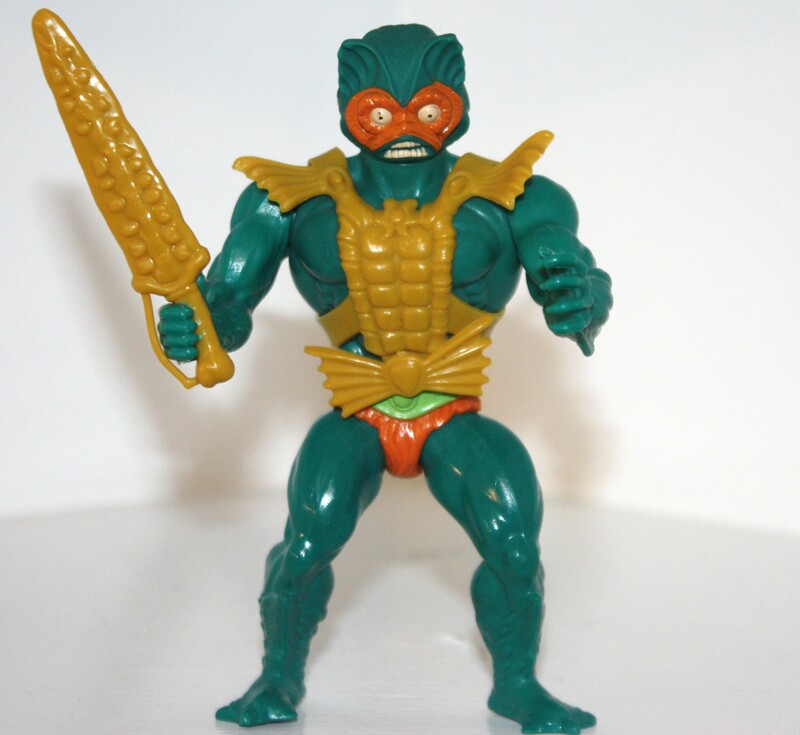 This Mer-Man also has the green belt of the vintage toy. Note also that early concept art gave Mer-Man copper/gold/ accents on parts of his costume, which didn’t end up in the minicomic artwork. Mer-Man remains one of my favorite figures in the Classics line, as well. (I think Trap Jaw probably stands as the single greatest figure, though, if I had to choose one!) Like many kids, I spent a lot of time wishing my Mer-Man figure more closely resembled his appearance in the early minicomics and the cross-sell art. The 2002 figure was a great step in that direction, and I loved the sculpt, but the MOTUC version is the apotheosis of the cross-sell Mer-Man. The figure is also an example of how the early releases in the MOTUC line were nicer in a few ways that many later releases simply weren’t. Most of them had nice paint washes and airbrushed highlights that were mostly absent after the first couple of years. Yes! It’s a shame that the nice airbrush shading was cut down after the first couple of years in the Classics line. Those years did have some issues (lots of swapped limbs) but also some of the finest looking figures. On the other hand they were also very hesitant to sculpt new parts if existing parts were “close enough”. And of course those early figures didn’t have the fat armor problem that developed later. Ugh, the fat armor issue… I know they had some designers come and go during the line’s life, but it’s still baffling to me that they couldn’t simply look at how it was done early on and duplicate that method to avoid that problem! It was a persistent problem for far too long. 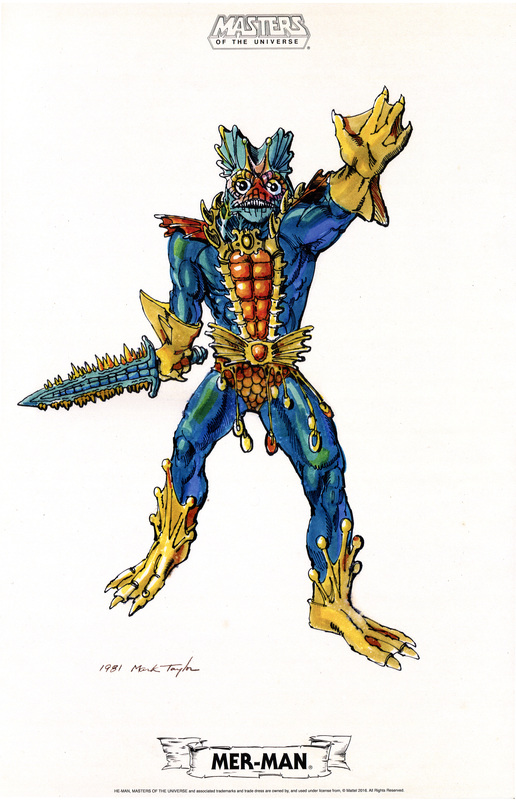 Back to Mer-Man, I love the standard figure, but I still want a full-on Mark Taylor version with the unique boots, scaly diaper, and seed pod thingies! Re: Fat armor. It was a weird problem that got worse over time. I noticed too that armor started to get asymmetrical. I can’t deal with swapped limbs. I had a Skeletor with swapped shoulders, had to sell him even though he was very nice otherwise. Had to fix Stinkor too. The weird forearms bugged the heck out of me. Yeah, IG Skeletor had a ton of issues. Fat “skin” armor – maybe swapped shoulders too? I don’t remember. Anyway, I would love a full on series of Mark Taylor inspired versions. Mer-Man would be at the top of that list! I generally can’t tolerate swapped limbs either, the shoulders on He-Man are an exception. I had him (and the original King Grayskull before him) for months before anyone even noticed. In general though, I have to fix it. I never got Stinkor, as he was release during the few years where I was bad enough off financially that I couldn’t collect the line, but if I had him, I’d have to do a forearm swap and repaint the arms to match the stripe pattern afterward. There was an early female figure– I think it was Teela– who arrived with swapped forearms as well, and I had to switch hers because it was bugging the hell out of me. The MOTUC line has been so diverse that my top two remaining wants are things I know will almost certainly never happen: That Mark Taylor concept art line, and a full-on Alcala line. The heads we got are nice, and something I thought for years we’d never get, but I want full figures in his style!